? ?First time in their life and a brand new concept for Cambodia. Our Cambodia Project manager, Sydney based Rajeendra Perera took his son and daughter with him to teach debating in English as his daughter is extremely talented debater aged 14. After mere 3 hours of introduction and few rounds of trial debates, the Khmer English students took the art like proverbial ducks. 06 groups debated several subjects with real emotion in the preliminary rounds and the semi finals. The finalists debated on the topic ?Farming is better than going to school? and the affirmative team won the finals with some clever points. 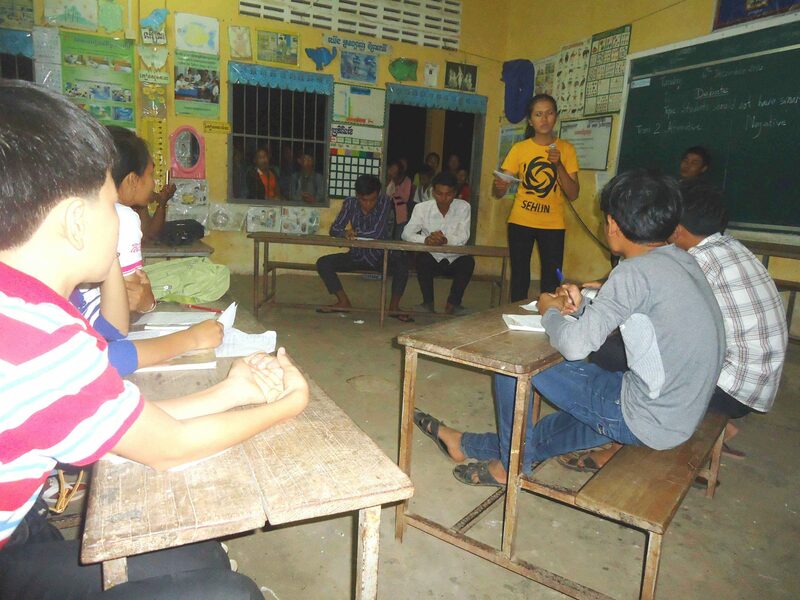 Our Khmer English teachers were thrilled and promised to introduce debating to their daytime classes, a fabulous way to build self confidence vital for their future. That group of peeping toms at the window were fascinated and pleaded to be included. Clever and a joy watching them develop their debating skills. ?